Join us for our anniversary party at Jazz Bones. These Bit€hes have been twirlin, tassels and shaking their bacon for 5 years now! We have grown with fresh talent and slayed Tacoma time and time again! Come out Saturday the 19th and be a part of this party! Live it all again! Get your tickets early, we always sell out! Tickets Here! This entry was posted on December 3, 2015. 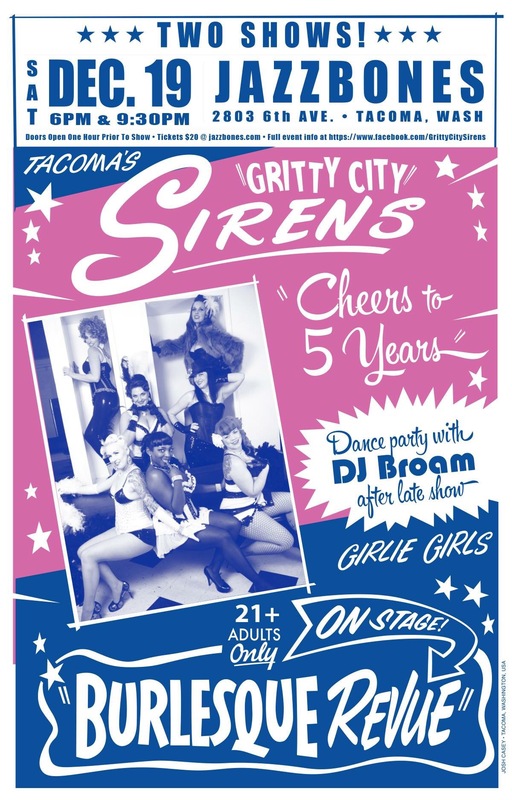 It was filed under shows and was tagged with Broam, burlesque, GrittyCitySirens, JazzBones.